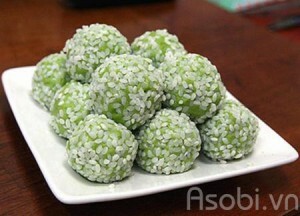 Khuc cake is a glutinous rice ball from the Red River Delta. It’s made from sticky rice mixed with khuc leaf, and filled with mung bean, pig fat and pepper. 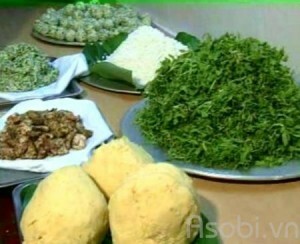 It’s usually made during the 2nd and 3rd months of the lunar year when khuc leaves are in season. In Hanoi, the cake is usually sold in the evening, the seller (usually male) wear a basket of cake over his head to go along the streets and cry “Hot sticky rice and Khuc cake…” or “who want to enjoy hot Khuc cakes! 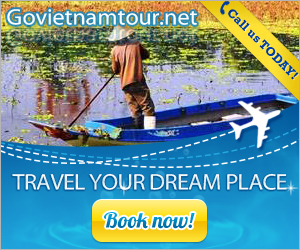 “and in various ways to cry his wares with a very special tone became a characteristic of Hanoi. The Khuc cakes here are very flexible, fragrant sticky rice and delicious filling; even if when the sticky rice turn cold, it is still soft and especially ensure hygiene and food safety. You can not find elsewhere such these characteristics, only in Quan Khuc cake shop. The more special thing is that the Khuc cake here is made of velvet sticky rice, one of the top delicious sticky rice in the Northern delta region and sticky khuc leaves if they choose the wrong vegetable ordinary khuc leaves instead, the khuc cake will not be delicious as expected. The shop satisfies customers because of not only its traditional flavor but also its attentive and enthusiastic service attitude. Every day, thousands of khuc cakes are sold but have never been received any bad feedback. Quan “Khuc cake” particularly is suitable taste for a variety of customers: the young or the old, the rich or the poor has felt this dish a warm taste. Hanoians are gentle and subtle but also very fussy in food. Yet when it comes to Quan “Khuc cake” shop, they still feel satisfied. The Khuc cake brings full taste of country that help people living far away from home feel warm as still living in his hometown. Eating once will remember forever. 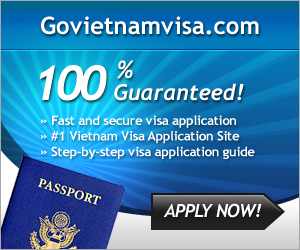 Address: 35 Cau Go street – Hoan Kiem district – Ha Noi city.